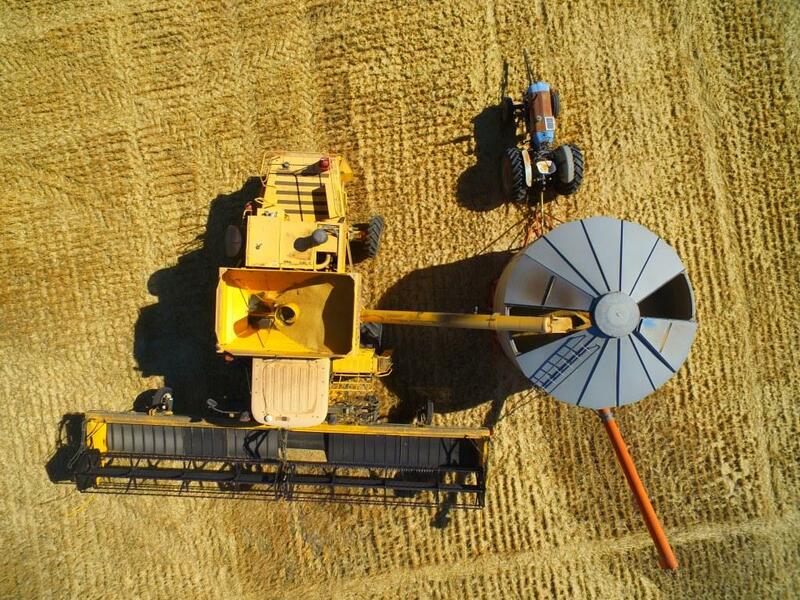 WESTERN Australia’s final grain production for the 2018 season has reached 17.9 million tonnes (Mt), the second highest on record with a value of just under $7 billion dollars. Earlier predictions of 14Mt following the dry spring and several severe frost events were eclipsed by a nearly 4Mt turnaround over most parts of the state, due to the late ‘soft finish’ mild temperatures during grain fill prior to harvest. The Grain Industry Association of Western Australia (GIWA) says total tonnage for the Kwinana port zone is 8.48Mt, up 2.2Mt from 2017, and Geraldton port zone 3.622Mt, up 2Mt from 2017. The Esperance and Albany port zones were both down from 2017 with a decrease of 0.5Mt for Esperance port zone to 2.49Mt, and 0.2Mt for the Albany port zones to 3.321Mt, a reflection of the poor growing season in the western and northern areas of the Esperance port zone and the east Albany port zone. The standout crop in 2018 was barley with an average grain yield of 3.19 tonnes per hectare, well above recent averages. The percentage of barley making malt grades was up by nearly 10 per cent on historical averages, with a record total tonnage produced of just over 5Mt. This is the fourth time WA has produced 10Mt or more of wheat and three of those years were in the last seven years, including a trend over that time of declining area. Only 54pc of the crop area in WA was wheat in 2018, the lowest on record. Grain weight was high in most regions of WA, a function of the soft slow finish to the season. Screenings were generally low except for some very high yielding barley varieties such as Planet when grown on the eastern fringes of the medium rainfall regions. In the southern regions of the state there were reasonable tonnages of malt grade barley downgraded to feed from germ end stain due to rain and humidity during grain-fill and prior to harvest. Wheat grain protein was lower than in recent years, influenced mainly by the dilution from higher than expected yields. A noticeable recent trend is that wheat grain protein is more likely to hold up on ameliorated soils where crops are more able to use the available soil moisture “bucket”. This gives growers more confidence in fertilizing for maximum potential. Around 40pc of all barley deliveries made malt grade which is about 10pc more than normal. The percentage of malt grade deliveries were nearly 50pc in the Albany port zone, although this was biased by a greater percentage of feed barley production acquired privately in the zone than other regions of the state. Canola oil quality was down slightly from recent years and generally lower than expected by growers considering the soft cool finish to the season. Most oil percentages were in the mid 40s rather than the high 40s. Canola grain yields were very erratic in 2018 with no single factor influencing the final result and this may have contributed to average oil percentages being lower than recent years. Lupin area continues to climb on the back of the more determinate rather than indeterminate growth habit types recently released. These new varieties have more suitable adaptation in the southern areas and whilst producing less growth, are very good yielders for grain. The only downside is the prevalence of more split seed in the harvest sample, which appears somewhat to be due to variety, and possibly to higher yields requiring more manganese. Milling oat demand continues to increase and WA’s reputation for producing a premium product was again enhanced with most milling grade oats delivered or privately acquired of very high grain quality. Field peas continue to be grown in small quantities in the southern regions of the state. Many crops were hit by frost and produced low grain yields, although in the absence of frost, grain yields were good. The smaller areas of lentil, faba bean and chickpea are growing, although still too small to report on. In South Australia, bulk handler Viterra has received 222,875 tonnes since 31 December to lift its intake from the 2018 winter crop to 3.98 million tonnes (Mt). Viterra said its most recent receival figures had come from growers finishing their harvest, and delivering grain they had in storage on farm. After 1 March 2019, grain delivered to a Viterra site will be received under the Post Harvest Delivery procedure. Viterra has invited growers to complete its post-harvest grower survey by this Sunday. Industry sources said Viterra’s bulk terminals were now busy loading grain for export, and out-turning grain to ships and trains to supply the drought-hit eastern states’ markets.